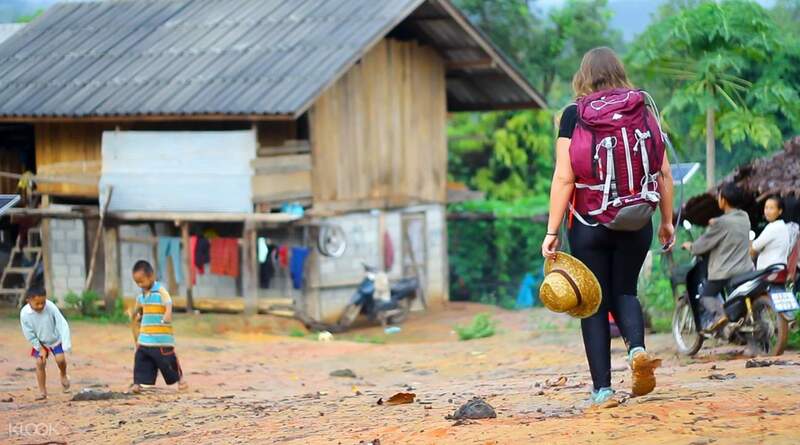 Immerse yourself in Chiang Mai's natural beauty as you embark on a day trek that will take you to Thailand's highest mountain, Doi Inthanon, with a side visit to Mae Sapok, a beautiful waterfall tucked away deep in the Mae Wang Valley. Start your day early with a convenient pick up from your hotel in Chiang Mai city and head to Doi Inthanon National Park, where you'll make your way through the jungle together with your experienced English speaking guide. After around 2 hours, you'll find yourself in the village of the White Karen Hill Tribe, the largest minority tribes in Thailand. 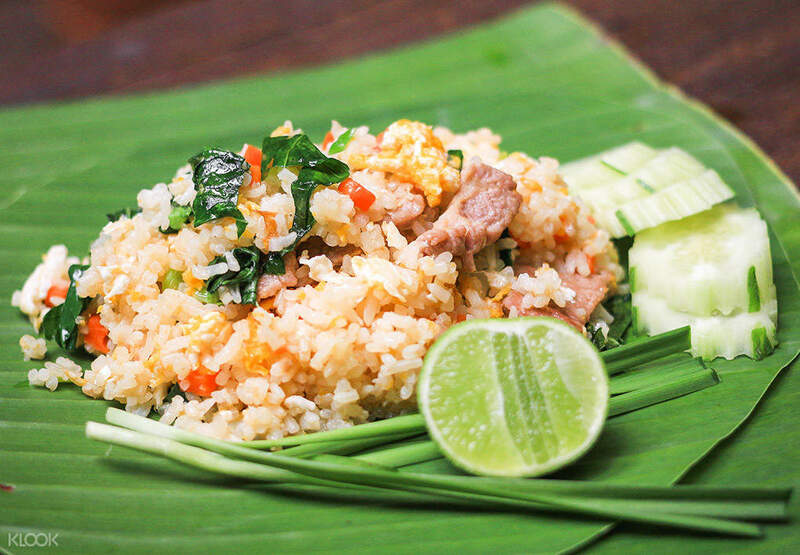 Here, you'll get to know the ethnic community and witness their everyday lives before continuing your trek and arriving at Mae Sapok. Take time to relax and take a dip in the pools, then enjoy a local lunch to gain back your energy for the trek back. Along the way, make a quick stop by the river and try out a bamboo raft ride in the cool waters to end your trekking adventure. Before the sun sets, you'll be heading back safely to Chiang Mai City, full of unforgettable memories from the day. 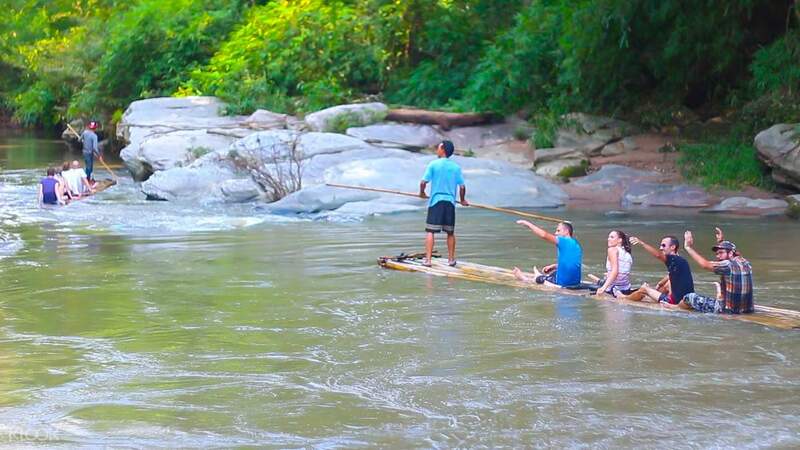 To end your trek, go on a fun bamboo raft ride with your tour group! Together with the guide (Boonsoon), we trekked to the mountains of Doi Inthanon, eating in Karen village, walking along terraced rice paddies, seeing waterfalls, dipping our feet in the water and watching elephants on the raft. It was a very enjoyable and meaningful tour that was difficult to do with group tours - it was like being a traveling hero in the world. The person who has not climbed seems to be a little tough. I'm sorry to see the twin pagoda on the top of the mountain, but I think this tour is worth it. 가이드 (Boonsoon)와 함께 도이인타논 산을 트레킹하면서 카렌족 마을에서 음식도 해먹고, 계단식 논길을 따라 걷기도 하며 폭포를 보며 물 속에 발을 담그기도 하고 뗏목을 타고 가면서 코끼리도 보았다. 그룹 투어로는 하기 힘들었을 매우 즐겁고 뜻깊은 투어였다ㅡ 마치 세계 속 기행 주인공이 된 기분이었다. 등산을 안해본 사람은 조금 힘들수도 있을 것 같다. 산 정상의 쌍둥이 파고다는 못 보아서 아쉽지만 이 투어 또한 그 만한 충분한 가치가 있다고 생각함. Suddenly I changed my schedule the day before, but nothing was wrong. It seemed that the accompanying guide did not know exactly the tour schedule presented in Kluck. 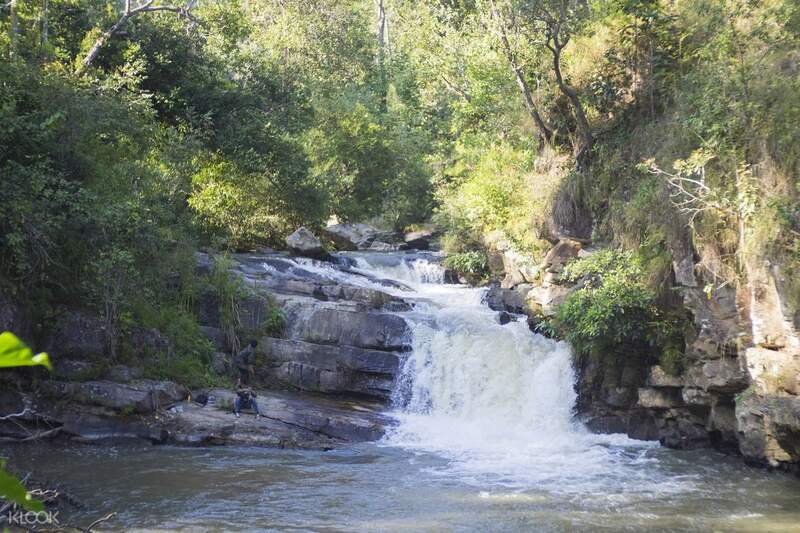 We picked up and asked us about the schedule, and the tour title was Doi Inthan & Massa width trekking, and Mashaabu Falls tried to skip it as a stop-over for tourists. I explained the itinerary of the tour and eventually turned down the waterfall, and if I had not seen it, I would regret it. The guide walked first without worrying about what we were following. I regret that I thought it would have been nice to have a lot of explanations together. But overall the tour was worth a try and the last bamboo boat was fun. 갑자기 일정을 하루전날 바꾸게 되었는데 아무 문제 없었음. 동반한 가이드가 클룩에 제시된 투어일정을 정확하게 알지 못하고 있는것 같았음. 픽업왔을때 하고 일정을 우리에게 물어보았고 투어제목이 도이인타논&매사폭 트레킹인데 매사폭 폭포는 관광객들이 잠깐 들르는 곳이라고 생략하려고 했음. 투어일정을 설명하고 매사폭 폭포를 결국 방물했으며 보지 않았더라면 후회할 만한 경치였음. 가이드가 우리가 따라오는 것은 신경쓰지 않고 먼저 걸어갔음. 많은 설명이 함께했으면 좋았을것 같았다는 아쉬움이 듬. 그러나 투어는 전반적으로 한번쯤은 해볼만하고 마지막 대나무보트가 재미있었음.